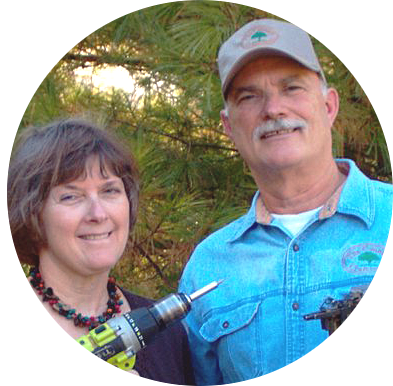 The Country Craftsmen, Inc. is a custom woodworking company owned by husband and wife team Mike & Jessica Gray. We are life and business partners, and have been blessed with three great kids and one wonderful grandson! At one time or another, each of our children and grandchild have helped in some way with our business. They even assisted us build our facility, so it is truly a family affair! 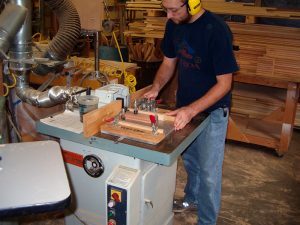 Co-owners of The Country Craftsmen, Inc.
Mike grew up playing in his dad’s cabinet shop in California as a boy and learned his early woodworking skills from him. 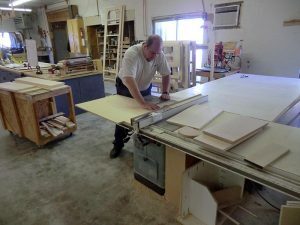 From his mother’s side of the family, the Drehers, he inherited the legacy of fine German cabinetmaking from his grandfather George. 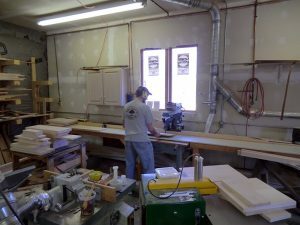 Mike is a third-generation craftsman who loves taking rough sawn boards and making them into cabinetry and furniture that is both functional and beautiful. He likes to come up with a design and “build it in his head” before he starts actual construction. Jessica manages the business side of the company and handles the marketing and customer service. 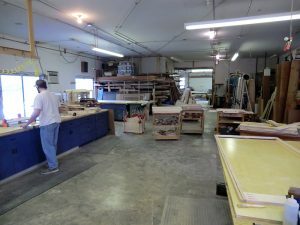 We began our journey into woodworking in a borrowed garage in 1987 and eventually moved to our present location at 27665 State Rt. 1 in Danville, IL. 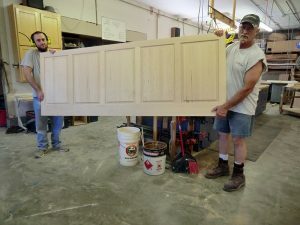 For the past 30 years, we have been building beautiful custom kitchens, bathroom cabinetry and other furniture items and built-ins for our customers. We have also done commercial work for schools, banks, municipalities, and large manufacturing companies. Please visit our gallery to see pictures of some of the work we have done. When you buy from us, you are not purchasing something from an assembly line. 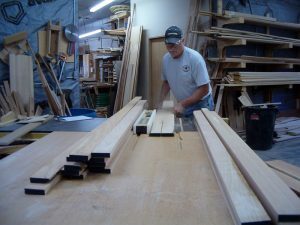 Mike enjoys creating quality furniture and cabinetry and has an acute attention to detail. We realize that nothing is perfect, but we strive to make all our products in the very best way we know how. 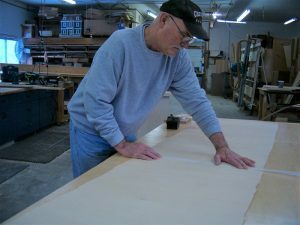 Our goal is happy customers who are proud of the fact that their furniture and cabinets were hand made for them. We understand that pride of ownership is important to our customers, so we strive to give them a product they can appreciate for years to come. We provide great personalized service by assisting each customer with all the details of their custom project from the initial planning stage through completion. 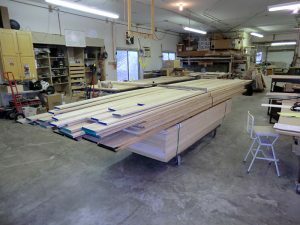 After our grandson was born, we saw a need for quality furniture for children. In 2017, we launched our line of solid wood, children’s furniture items and called it “Specially 4 Kids.” We are in the process of creating other new products that will debut on our website, so feel free to visit from time to time. We also have a Specially 4 Kids store on Etsy – come check us out.